Possibility to spend the night at London Heathrow airport (LHR), if open 24 hours. Services available, places to rest (free resting zones), or look for the list of nearby hotels and vip lounges.. If you have an early morning flight or a connecting flight with a long layover, the London Heathrow airport offers facilities that make it possible for you to stay overnight without having to book for a hotel outside the grounds. All terminals remain open 24 hours a day and are connected to each other by buses. Where to rest: In Terminal 2 there are numerous comfortable seats, but even late at night it is very bright and noisy, so it is advisable to have an eye-mask and earplugs. In the boarding area of ​​Terminal 3 you can find lounge chairs, but keep in mind that the security staff can ask you to move. As for Terminal 4, the public area has more comfortable options for spending the night. There is even a café that opens around the clock where you can stay if you buy something. For Terminal 5, benches without armrests are available on the second floor. If you want to take a shower or be in a more private and comfortable area, all terminals have VIP lounges. The only problem is they close at night. 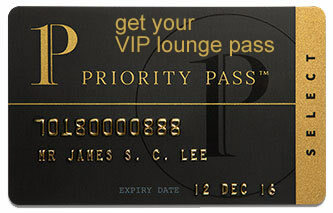 SEE VIP LOUNGES For uninterrupted sleep, there are hotels in terminals 4 and 5 and several alternatives in the vicinity. Baggage: All terminals have left-luggage services, but they work from 5:00 am to 11:00 pm. Therefore, if your flight leaves very early in the morning, you will probably have to spend the night with your bags. Eating and drinking: There are coffee shops open 24 hours a day in terminals 2, 4 and 5. Restrooms: Showers are available in many of the VIP lounges. Wi-Fi: The airport has free and unlimited access. There are also AC power plugs and USB ports to recharge mobile devices. The YOTELAIR London Heathrow (Tel +44 207 100 1100) is situated on the mezzanine level of Terminal 4, while the Hilton London Heathrow Airport (Tel +44 208 759 7755) is connected to that building through a covered walkway. The Sofitel London Heathrow (Tel +44 208 757 7777) is linked to Terminal 5. Other options nearby, some with courtesy transfer services, are: Rennaissance London Heathrow Hotel (Tel +44 208 897 6363), EasyHotel Heathrow (Tel +44 208 897 9237), Leonardo Hotel London Heathrow Airport (Tel +44 208 990 0000), Ibis Styles London Heathrow Airport (Tel +44 203 862 7689), Novotel London Heathrow Airport T1 T2 and T3 (Tel +44 208 917 1599), Park Inn by Radisson London Heathrow (Tel +44 208 759 6611), Premier Inn London Heathrow Airport Terminal 4 (Tel +44 871 622 2414). In the Arrivals area of every terminal and at the enclosure's metro station (between terminals 2 and 3) there are reservation counters.